October is Manufacturing Month, giving a spotlight to career opportunities for young engineers and others who are the next generation of the manufacturing workforce. 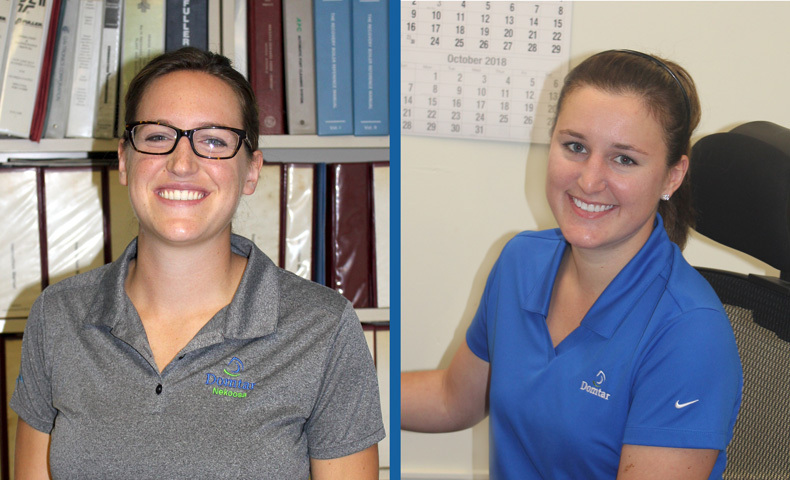 Sophie Justinak and Tracy Wawrzyniec, employees at our Nekoosa Mill, recently made the transition from successful interns to full-time engineers, thanks to Domtar’s support for interns and emphasis on job readiness. Their journeys demonstrate the exciting future that’s in store for young engineers working in the pulp and paper industry. Wawrzyniec and Justinak began their careers at Domtar as environmental interns after earning science degrees. Wawrzyniec joined the mill in the summer of 2015. She graduated from the University of Wisconsin, where she studied water resources with an emphasis on chemistry. Her internship prepared her well for a full-time position handling the mill’s wastewater permitting. In June 2018, she was promoted to process engineer in the pulp mill’s wood room. Tracy Wawrzyniec made the transition from Domtar intern to entry-level engineer at Nekoosa Mill. Justinak came to Nekoosa the following summer, having studied bioproducts engineering at the University of Minnesota. She was hired as an environmental intern before moving into an entry-level engineer position in the pulp mill. In November 2017, she was promoted to process engineer in the pulp mill. 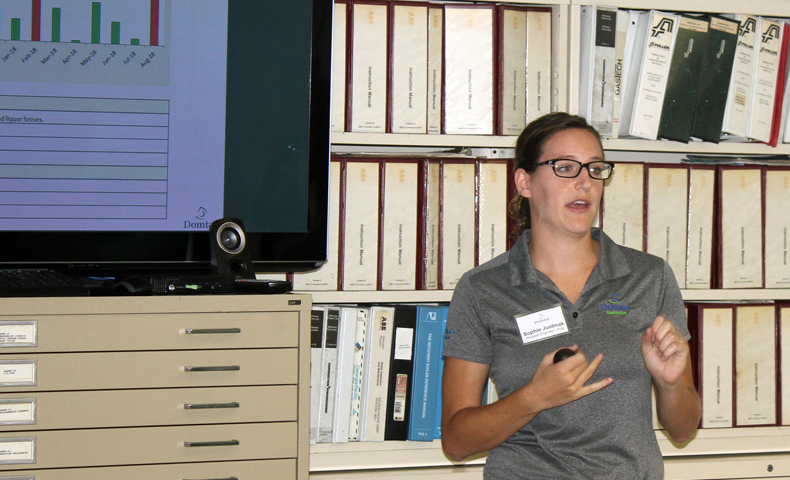 Sophie Justinak worked as an intern before becoming an entry-level engineer at Nekoosa Mill. Because they were included on valuable projects from the beginning of their internships, both women were ready for the transition to full-time engineer. In addition to enjoying the work, both Wawrzyniec and Justinak say their colleagues at the mill enhanced their experience and encouraged them to stay in the industry. Dave Ulrich, environmental manager at the mill, supervised both women in their internships. Small-town settings are sometimes a hurdle in recruiting young engineers to pulp and paper manufacturing, but Wawrzyniec and Justinak say they enjoy life in Central Wisconsin. For Wawrzyniec, living in the Nekoosa area is a good fit in several ways. She’s familiar with the industry, having had relatives work in pulp and paper mills in the area. She also grew up less than an hour away, so she’s beginning her career not far from her family and in an area where she can enjoy her favorite outdoor activities, especially hunting and fishing. Both women are proud to be a part of the Nekoosa team. “Working on continuous improvement projects and being able to see the results come through in terms of production or other tangible results is really rewarding,” Justinak says. Wawrzyniec and Justinak offer wise advice to other young engineers beginning their careers. 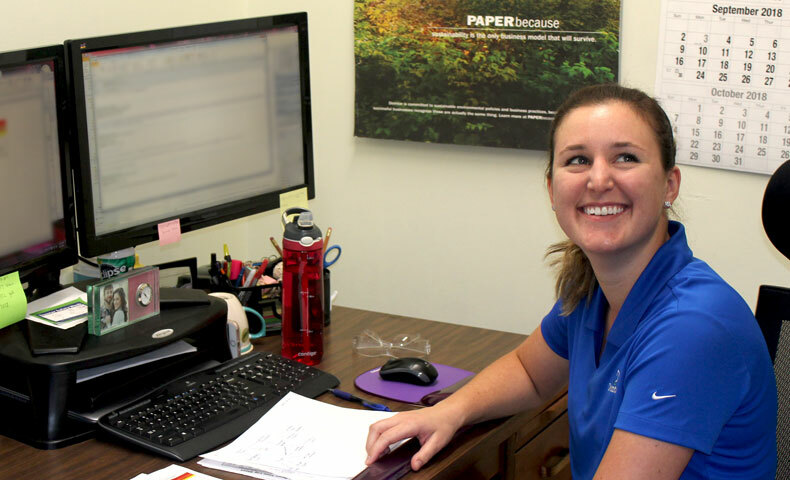 Read more about a day in the life of another one of Domtar’s young engineers at our Kingsport Mill.